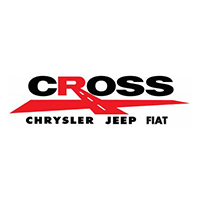 Cross Chrysler Jeep Fiat is thrilled about the news of the 2018 Jeep Wrangler Pick-Up Truck. Rumored to be built off the current AEV (American Expedition Vehicles) Brute Double Cab with a hybrid Dodge Ram bed. Please fill out some info below to get on the waiting list and have one of the FIRST orders placed. Our convenient location is just off the Watterson Expressway and in the heart of Jefferson County at 1501 Gardiner Lane, in Louisville, KY.
We have an Area Exclusive Test Track to test any vehicle on our lot to ensure you’re ready for a true off roading experience.